When faced with unexpected weather events, pastoralists have to take decisions that may have impacts on their cultures, livelihoods and relationships with other neighbouring communities. During periods of drought, Mbororo pastoralists have to adapt by changing the composition of their herds or travel longer distances, sometimes in excess of 1000 kilometres, in search of pasture. The decision to move cattle across landscapes can trigger problems with farmers who are also facing weather stress. A particularly severe weather event can also lead to long-term changes, including the shift towards agro-pastoralism and inclusion of more dromedaries in a herd, which was seen in Tuareg communities after the 1972 drought in Niger. 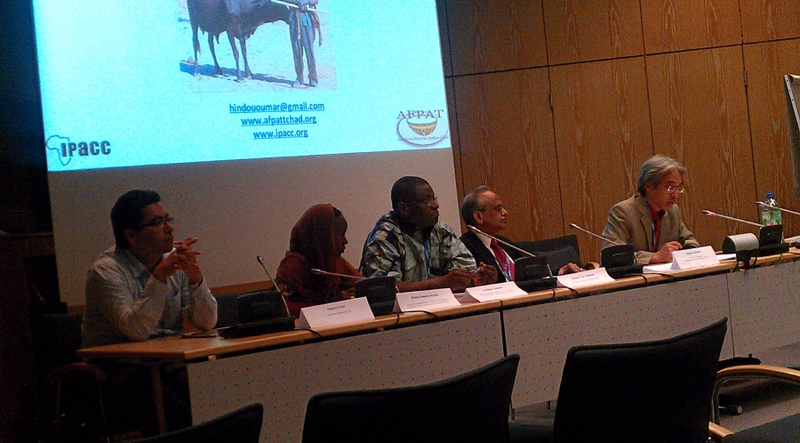 Presenting this information during a side-event at the recent UN Climate Conference in Bonn, Germany, Hindou Oumarou Ibrahim and Aboubakir Alabachir, representatives of the Indigenous Peoples of Africa Coordinating Committee (IPACC), brought into context the dependence of pastoralists on weather and the need for user-friendly climate information. Knowledge of indigenous peoples and local communities form primary sources of decision-making and scientific weather forecasts can help increase the resilience of communities to unpredictable weather events and seasonal patterns, especially in an era of heightened uncertainty brought about by climate change. Likewise, the information held by local communities, which can describe site-specific weather phenomena ranging over large areas and time scales, has the potential to enrich scientific forecasting. 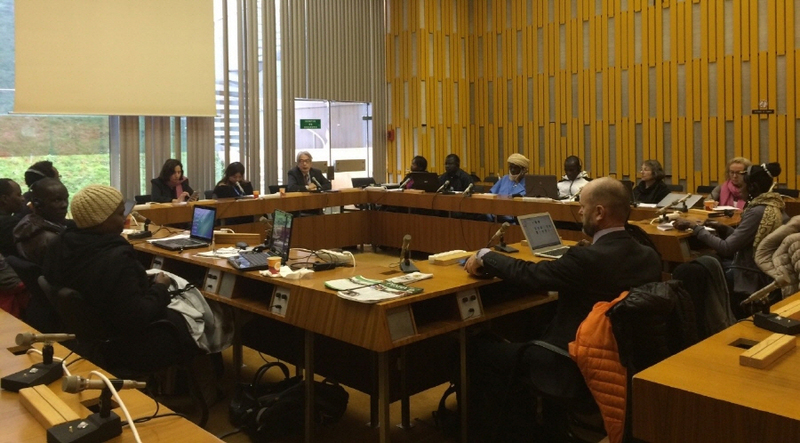 In his introductory remarks, Douglas Nakashima, the UNESCO panel chair stated that indigenous knowledge, as much as scientific knowledge, has the potential to provide necessary and valuable contributions to global knowledge repositories on climate change such as the Climate Change Knowledge Base, a UN cross-cutting initiative led by the UNESCO and the World Meteorological Organization (WMO). Scientific information, however, is seldom presented in a manner that can be confidently used by communities. Dr Shivakumar of WMO presented an initiative called Global Framework for Climate Services (GFCS), which aims to strengthen the application of climate services at multiple levels. He highlighted the fact that even though there was agreement on the need to connect knowledge and world views of scientists and local communities, implementing this on the ground was a challenge. 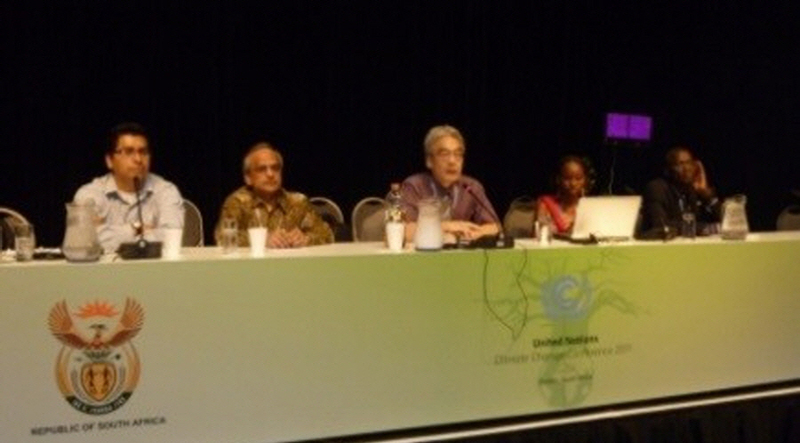 Acknowledging that much work still needs to be done, he proposed the idea of scaling up the discussions of the side event to an international workshop on traditional and scientific forecasting, and invited both UNESCO and IPACC to engage within the User Interface Platform of the GFCS. This synergy was further encouraged and supported by the African Centre of Meteorological Applications for Development (ACMAD), represented at the side-event by Cheikh Kane. Johnson Cerda, Conservation International, highlighted the positive impact of effective dialogue between both the traditional knowledge holders and the scientists on adaptation policy, referring the panel to the principles outlined in the Cancun Adaptation Framework. The presentations were followed by an open discussion. Participants debated the importance of documenting and acknowledging the crucial value of local and indigenous knowledge as a basis upon which critical livelihood decisions are made by communities, while stressing the need for the knowledge holders themselves to set the frame for how such documentation is carried out. 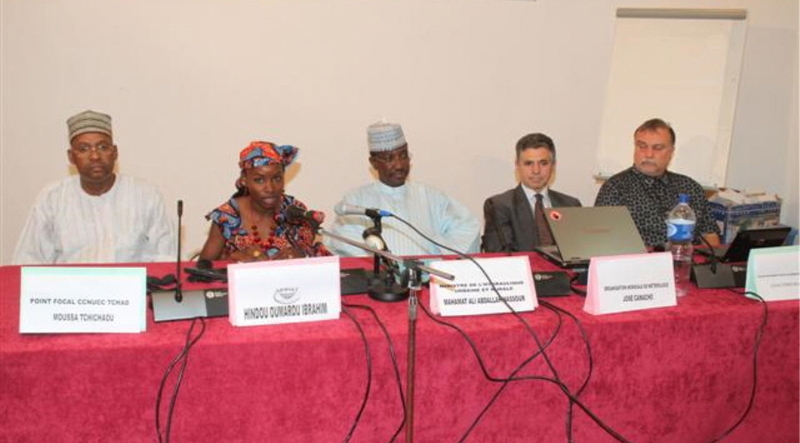 Organized by IPACC and UNESCO, the side event also saw the launch of a joint initiative between IPACC, UNESCO, ACMAD, WMO and CI. Following the panel presentations, a representative of the government of Chad, Mr Moussa Tchitchaou, Director of Water Resources and Meteorology in the Ministry of Water and Focal Point for the UNFCCC, formally announced a workshop that would be held in Ndjamena, 5-7 September 2011. The workshop would bring together a larger group of pastoralists and meteorologists representing several African countries to further expand discussions of the themes raised during the side event.